SPECTACULAR updated colonial with MASSIVE Great Room addition and premium location directly across from Four Colonies Park! This gorgeous squeaky-clean home sits on a corner lot and features 4 generous BR&apos;s, 3 FULL Updated baths, a cozy family room with fireplace joining the Great Room Addition! The vaulted great Room has 3 walls of windows and 2 walk-outs which combined offer spectacular views to the beautifully landscaped yard, deck and patio. The bright eat-in kitchen has a work station, newer Stainless appliances and tons of counter space. The HUGE master BR has a large walk-in closet and brand new bath! 2nd, 3&apos;rd & 4th are all oversize and offer exceptional closet space. Attached garage enters the home to a convenient laundry/mud room and the full basement offers tons of storage and endless potential. 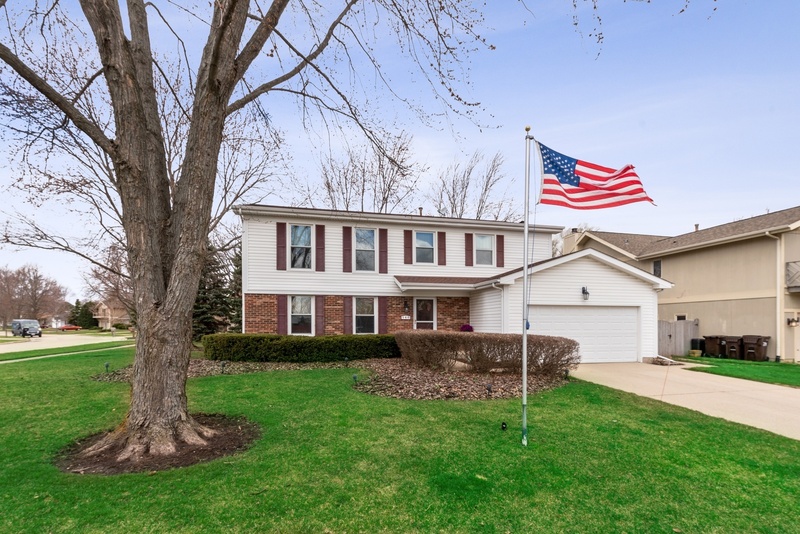 Newer roof, sump, water heater & appliances ~ Great schools ~ Blocks to Country Club, shopping, restaurants, Metra and Crystal Lake Main Beach ~ Hurry!